In January, I reported how the corporate special interests were using a two-pronged attack against Wisconsin Supreme Court Chief Justice Shirley Abrahamson. One of the prongs was to put in a constitutional amendment to change the way the chief justice of the state supreme court is chosen. The Assembly Judiciary Committee on Thursday held a rushed hearing on a proposed constitutional amendment that could create an avenue for ending Abrahamson's tenure as the chief justice. Historically, the chief justice has been the court's senior member. This has insulated the chief from disputes on the court and from outside political pressure. Under the plan advanced by conservative legislators and passed once by the Legislature, the selection of the chief justice would be politicized — with the seven justices choosing and replacing chief justices. Backers of the measure hope to place it on the April 7 ballot. 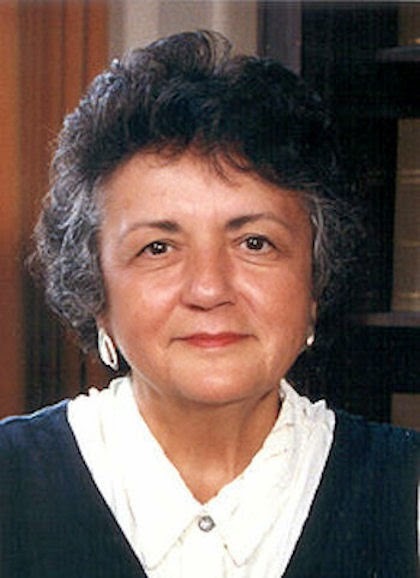 If it is passed, after a campaign that could well be influenced by significant spending from out-of-state interests seeking to undermine Wisconsin’s historic commitment to an independent judiciary, critics fear that Wisconsin could see an attempt to remove Abrahamson as chief justice before the completion of the court term to which she was elected. Understand what this means: Currently, when an individual chosen by the voters becomes the longest-serving justice, he or she becomes the chief justice. That chief justice is not subject to the ideological whims and political twists and turns of the court; rather, he or she is accountable to the voters. If the voters do not like a chief justice, they can remove that justice at the next election. If the voters want to keep a chief justice on the job, they can re-elect that jurist. The corporate controlled Republicans did ram through this amendment and the referendum to approve this change will appear on the April 7 ballot. Wisconsin Manufacturers & Commerce (WMC), Wisconsin's premier lobby for corporate tax breaks and low wage jobs, has unleashed a $600,000 ad blitz to strip Wisconsin's independent Chief Justice of her title just as the court prepares to take up the "John Doe" criminal probe of Scott Walker and the special interest groups that defended him against recall in 2012. WMC's spending in the recall campaigns is one of key issues in the case. The case will be considered in secret without oral arguments by Wisconsin's Supreme Court whose conservative majority was bankrolled by WMC. This money does not include the more than $116,000 WMC has spent on radio ads. WMC's claim that this referendum would bring democracy to the Supreme Court deserves only derisive laughter and a "no" vote. Their idea of democracy is to have one of the four justice they already own become Chief Justice so that they could avoid any and all responsibility for their actions, whether it be illegal politicking, polluting the environment or harming consumers through their willful neglect. I urge all of my fellow Wisconsinites to join me in voting no on the referendum. If we are ever to get our state back, the first step is to stop ceding ground to the corporate special interests. I have to hand it to you, capper, you must be an authority on prongs. One thing, though.. your compadre Jeff Simpson just castigated Scott Walker for using a less-than-current photo for his campaign materials. If this is the new standard, you should find a picture of Shirley that was taken sometime after 1972. Not sure why reading comprehension is so hard for you guys. I didnt castigate Walker for using an old pic, I castigated him for always buying shirts that are three sizes to big for him. "Not only did he pick a picture from 20 years ago, he is distancing himself from the Republican Party." Why did you assume this was about YOU?